Imagine your yard as an orchestra. One glimpse into your yard, and you see that everything is blending in perfect harmony. Your green grass is providing the foundation – the bass, if you will. The roses are hitting their notes as altos, and the daisies are performing amazingly as sopranos but there is something missing. The trees, the tenors, are simply not bringing the piece together. They look sickly, and not up to the task. Tree pruning in Passaic County can help your lawn reach total and complete harmony. 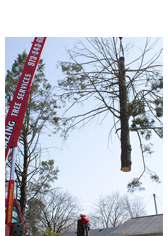 Amazing Tree Service has been in the industry for many years and ensures quality workmanship and service. 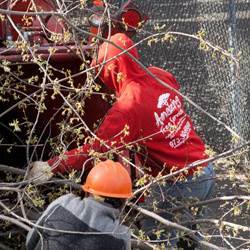 We are a fully insured tree services company that provide its clients with the best in tree pruning in Passaic County. 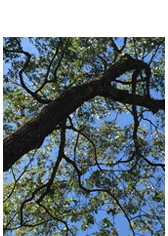 Our cosmetic tree pruning services are designed so that dead or diseased limbs will be removed and your tree will be restored back to its original healthy state. One of the methods we use is decreasing the size of the canopy of the tree, which in effect, will increase the amount of light that reaches the lawn. This increased sunlight will improve the overall health of the lawn. Tree pruning in Passaic County also decreases the number of branches on your tree, which is beneficial because it will decrease the number of branches near your home or structures that can cause possible danger. By calling Amazing Tree Service you can return your trees back to health so that your lawn will be able to end the show with a masterpiece! Call us at: 973-343-6868! Trees, like all living things, are vibrant and beautiful beings. Just like living things, though, they too will eventually wilt and die. It is important to know how to deal with your tree if you need to remove it. Despite this, many Passaic County residents will have neither the expertise nor the experience in dealing with tree removal. In order to provide your tree with the best services, make sure to speak with a professional tree removal service in Passaic County. Make sure to speak to Amazing Tree Services for all of your tree removal needs. At Amazing Tree Service, we hold ourselves to very high standards so that you receive only the best tree removal service in Passaic County. Our team of expert tree professionals can accurately determine the nature of your tree's problem in order to provide the best removal service. Dealing with a tree that needs to be removed can be quite messy as well, with excess pieces of wood and chips to deal with. Our tree professionals also make sure to thoroughly clear up the tree area after the service is done, leaving your property neat and clean. Amazing Tree Services owns and operates all of its own machinery. You can rest easy knowing that the tree removal service in Passaic County you hire can take full responsibility for its own tools and machinery. We take all means necessary to minimize risk and complications while maximizing productivity and efficiency in our tree services. If you have a tree that is dead, be smart and hire a reputable tree removal service in Passaic County like Amazing Tree Services. Call us today at 973-343-6868 to get all of your questions or concerns answered by a tree professional and even get a free quote! You pull up into your driveway after a long day of work only to see the remains of a tree that was cut down months before. You kept telling yourself that you would get to it sooner or later, but by the looks of the tree stump, it is not going anywhere. You make a note to find a good NJ stump removal company but don't know of any reputable places. If this is the case, Amazing Tree Services is the place to go for your tree stump grinding and removal needs! Although many NJ residents and families will opt to leave a tree stump on their lawn, this can in fact be very damaging for your lawn. The tree stump removal process can prevent the occurrence of bugs and weeds on and around the stump while also enhancing the overall health of your lawn. Amazing Tree Services' team of tree specialists have years of experience in dealing with NJ stumpremoval and grindings. As such, the removal process is very swift and is performed safely and efficiently. Our specialists' technical skill and use of heavy machinery prepare them for dealing with any kind of tree stump removal. Depending on what you prefer, our tree professionals can either provide you with the wood chips following the grinding and removal or haul the stump away and out of your site. When dealing with a leftover tree stump that needs to be removed, be sure to speak to Amazing Tree Services. We provide only the best in customer support and NJ stump removal services. For questions or comments, or simply to speak to knowledgeable tree expert, give us a call today at 973-343-6868. Call us now and receive a free stump grinding estimate! Does one of your trees have a weakened or falling branch? Do some of your limbs look sickly or diseased? If you answered yes to any of these questions then you may need tree trimming and pruning services in NJ. Luckily, there is a tree service company that is capable of doing this and much much more. Amazing Tree Service provides fully insured and guaranteed tree trimming and pruning services in NJ. A tree with a falling branch can be quite a serious predicament. This scenario can cause harm to surrounding homes or structures or even to pedestrians that are near the area. Call in our experts so that they can evaluate the situation and provide you with exceptional tree trimming and pruning services in NJ. We own all of the equipment and machinery necessary to perform tree trimming and pruning services in NJ,so our clients can be reassured that the job will be done properly the first time and at the lowest price possible! Call Amazing Tree Services today if you have a branch in danger of breaking off. A tree professional will discuss your options for tree trimming and pruning services in NJ and other tree services that are available. Call us today at 973-343-6868!